Gov. Gretchen Whitmer’s inaugural budget comes with a combination of major increases for roads and schools while aiming to offset tax hikes with targeted cuts. The $60.2 billion proposal for fiscal year 2020 is a 3.2 percent increase from the 2019 budget. Whitmer aims to raise $2.5 billion for roads via a 45-cent gas tax hike done in three increments. She’s also set aside an increase of more than $500 million for K-12 public education. Whitmer hopes to offset some of the added costs by cutting the so-called pension tax, which has some bipartisan support and by raising some business taxes. 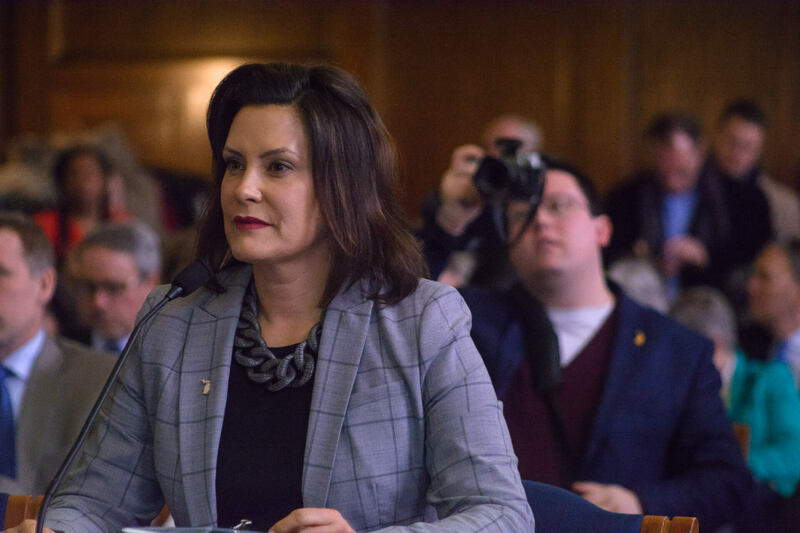 Presenting the budget proposal before a joint session of the House and Senate Appropriations Committees on Wednesday, Whitmer said her budget is a “real plan” that starts by “understanding the magnitude of the problems” Michigan is facing. Whitmer and her budget director, Chris Kolb, said they’ve looked at multiple ways of raising the needed money to fix crumbling Michigan roads and a significant gas tax increase is the only way they could find to accomplish that. Whitmer said the proposed gas tax hike would cost typical Michigan drivers an additional $276. To offset some of that cost, however, Whitmer seeks to reverse course on two tax initiatives undertaken by her predecessor, Republican former Gov. Rick Snyder. Efforts have already been taken this year in the Legislature to repeal the tax. To help make up that lost revenue, about $300 million, Whitmer has called on the Legislature to expand the state’s 6-percent corporate income tax to more S-corporations and limited liability companies (LLC). Those types of companies only pay 4.25 percent currently. Between the proposed gas tax increase and business tax hikes, the Michigan Republican Party didn’t try to hide its displeasure with Whitmer’s proposals. The Advance will have additional details and coverage throughout the day.